Retail stores have been undergoing a transformation over the past few weeks, in preparation for the shopping bonanza otherwise known as Mother’s Day. Signs directing us to aisles full of bears, purses, stilettos and perfumes marked "for Mom" are being erected, as jewelry clerks place their shiniest merchandise in their front windows. Every year, the second Sunday in May is devoted to celebrating our mothers — but that message is often obscured by the commercialism that has consumed the holiday, which has made many equate expressing love with giving presents. But the idea of celebrating mothers through gift-giving disappointed Anna Jarvis, the recognized creator of Mother’s Day. Most of us have been raised to believe the distorted idea that gifts are the best way to show our appreciation of our mothers. Taking to Facebook to write about our mothers' unparalleled parenting skills is never enough. Rather, I am supposed to express how much I love the woman who harbored me in her womb for nine months by purchasing cruises, expensive electronics, jewels and perfumes for her. With its emphasis on how we spend our money rather than how we spend our time, I think that modern Mother's Day has lost sight of its real intention: actually celebrating our mothers. Howe’s idea came to fruition with the creation of an annual Mothers’ Peace Day, which was held on the second Sunday of June in Boston. Mothers’ Peace Day succeeded as a regional holiday, but it was never recognized as a national celebration. Anna Jarvis aimed to change that when she began campaigning for Mother’s Day to become a national holiday in the early 1900s. Jarvis organized the first annual Mother’s Day on May 10, 1908, as a tribute to her own mother. Families gathered at a church in Grafton, West Virginia on that day, as well as at selected venues in Philadelphia and other cities, to honor their mothers. Jarvis was committed to making Mother’s Day a national celebration, so she launched the Mother’s Day International Association and trademarked the phrases “second Sunday in May” and “Mother’s Day.” As a result of Jarvis’ organizing, Mother’s Day began spreading to multiple cities until it reached the attention of President Woodrow Wilson. In 1914, Wilson officially designated the second Sunday in May to be Mother’s Day. But that purpose was lost as the holiday quickly became commercialized in the 1920s. Roses, cards and jewels marketed specifically as Mother's Day gifts became the focus of the holiday for many, rather than the familial love Jarvis had hoped to foster. This shift caused Jarvis to become disenchanted with the holiday, according to Antolini. So Jarvis dedicated the remainder of her life to attempting to control the celebration of the holiday. Shethreatened to sue the federal government, orchestrated boycotts, and even interrupted a convention in Philadelphia in order to express her discontent with the new, commercial vision of Mother's Day. Jarvis waged war against her own creation for more than two decades. Mother’s Day has been adopted in multiple countries, and continues to be one of the most commercialized celebrations on the American calendar — but Jarvis died penniless in a sanitarium in 1948. She never accrued a single dollar from Mother’s Day, though it’s become a global phenomenon. 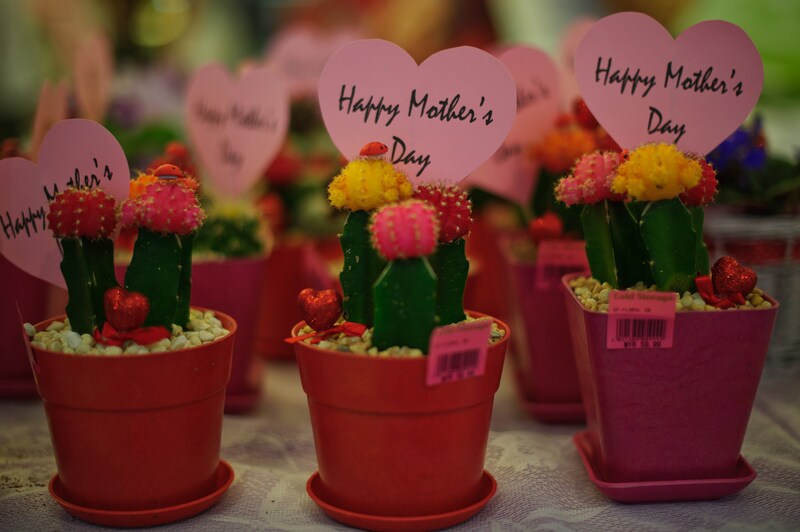 Marketing Week found that Mother’s Day generates more than $400 million for retailers each year, and those numbers continue to increase. In fact, Americans are spending twice as much on Mother's Day as they did a decade ago, and the National Retail Federation reports that we spent almost $20 billion on Mother's Day gifts in 2014. Of course, knowing all this doesn’t calm my own impulse to outrageously splurge on my mom. She, and most other mothers, deserve public appreciation for their excellent parenting and relentless sacrifice. However, I am now beginning to recognize that celebrating her doesn’t require giving her luxurious gifts. So, in the spirit of the original Mother's Day, I am making the conscious decision to celebrate my mother differently in 2015. Instead of spending hundreds of dollars on thoughtless gifts, I will instead host a barbecue with our closest friends and relatives, who will surround my mother with the love she so rightly deserves. Mother’s Day is a day to celebrate our mothers and the contributions they make to our lives — and it is easier to do that with love than with jewelry.